Kodi calls file sources not officially sanctioned by the XBMC / Kodi Foundation Unknown sources. 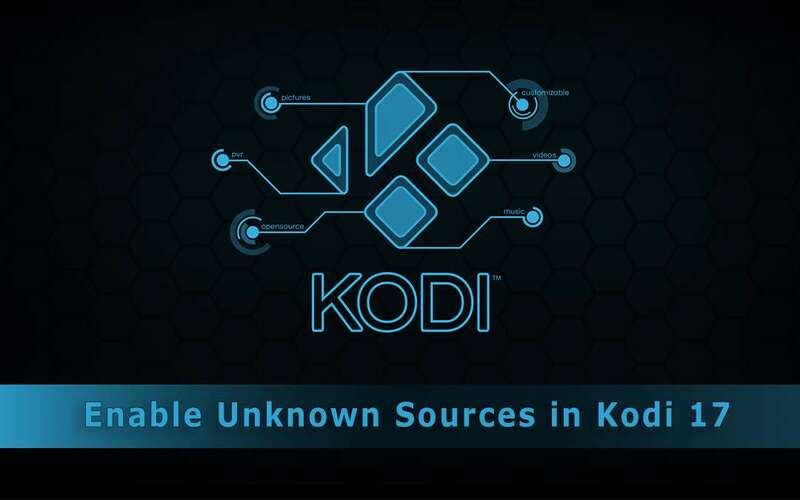 If you wish to install any third party (aka unofficial) Kodi TV addons, then you must first tell Kodi 17 Krypton to allow the use of these unknown sources. 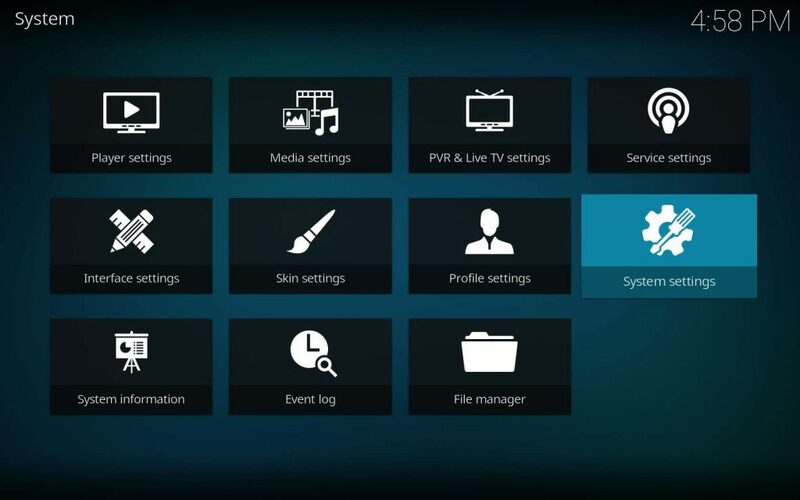 This setting didn’t exist in Kodi 16 Jarvis or earlier versions. 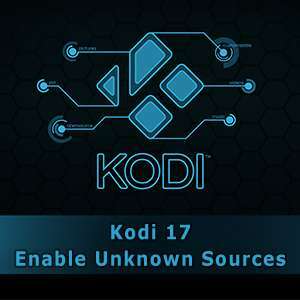 Thankfully, Kodi provides an easily toggled system setting to enable unknown sources, which then allows unofficial Kodi TV addons installation. Before starting with third party (unofficial) TV addons, recognize the risks involved with TV addons from unknown sources. Actually, serious security risks exist when using the internet at all. Installing a VPN to secure your data and privacy can potentially save you a ton of headaches down the road. Among the many benefits a VPN provides are keeping your data out of the hands of hackers, which includes your ISP and government agencies. When you aren’t using a VPN, your ISP records all of your browsing history, which includes which Kodi TV addons you install and video content you watch. Internet Service Providers can now routinely sell your browsing history to third parties for marketing and other profiling purposes. This includes Verizon, AT&T, Comcast, and Time Warner. The fact that you are browsing from Ashburn, VA offers itself up to anyone caring to look. Things get much worse when you access the internet from a public WiFi hotspot. Don’t become the victim of identity theft; consider using a VPN, which makes your physical location, IP address, and pretty much all other information you’d rather remain private out of the hands of hackers and identity thieves. You get 60% off the most trusted VPN in the world with our discount code link! That comes out to less then the price of a cup of take-out coffee ($4.87!) just for being a KFire TV reader! Once you’ve installed Kodi, follow this exceptionally simple step by step process to enable the use of Unknown sources when installing Kodi TV Addons from unofficial sources. 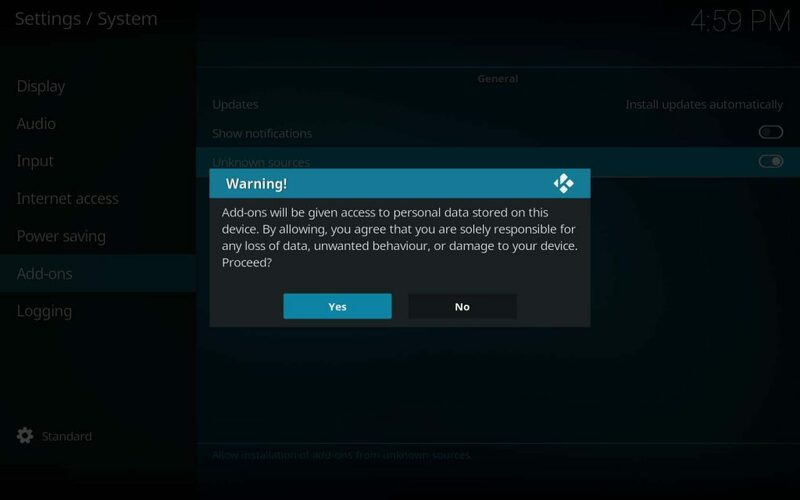 The XBMC / Kodi Foundation believe you should be wary of unknown sources for many valid reasons, so take heed. Recognize the risks involved, then just say Yes to making your own informed decisions. After carrying out these steps, feel free to install from any repository or zip file you like. Do your homework, then decide whether you want to install a full build or cherry pick individual TV addons. A couple of the most popular TV addons at this time are Covenant for movies and TV series, and SportsDevil for live and replayed sports of all kinds. 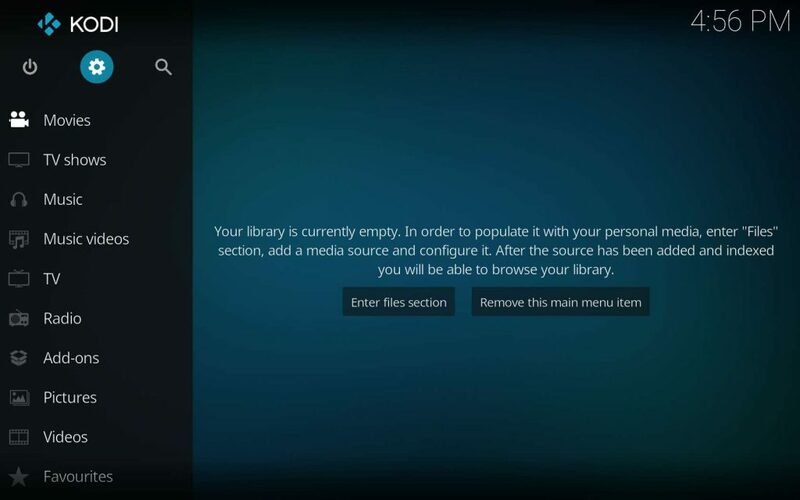 If you’d rather a full build to see all that Kodi has to offer, we have several guides available. Check out the Boom Shakalaka build, which exists in three variants for size and content and also color coordinates to your own sense of style. 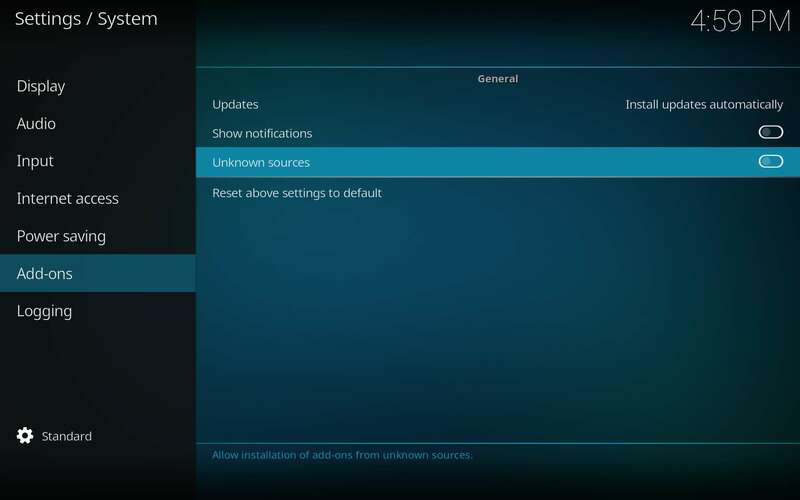 If you want to install any of the fantastic third party TV Addons in Kodi, then you'll need to allow the use of Unknown sources. Learn how to in this guide.